Get in touch with us if you can think of any other questions you would like answered. We will update this on a regular basis to keep you all as informed as possible. What is the process of buying at Montrose Woods? Firstly you would view our selection of stunning plots at Montrose Woods and discuss your house requirements with our Sales Manager, before picking your plot and house type (or even existing house). You then arrange your mortgage – if you like we can put you in touch with independent mortgage advisers that can help you with this as well. You would then sign your reservation form and pay a reservation fee of £1000. Missives will then be signed within 21 days, this total fee will be refundable at completion of house. Your mortgage should then be finalised and your missives concluded. You will meet with our Sales Manager again to agree on any upgrades you would like in your home, and confirm your kitchen colours and worktops. These upgrades will then be invoiced and paid and a completion date will be issued to you. Settlement will take place just before the final handover date. If we reserve a plot with a house assigned to it, how long will it take to build? The process of building an R.House once the site is reserved and missives are concluded, takes 6 months in total. Are there houses available to buy now? A south facing, extended R3 with a stunning open plan kitchen, dining and living area. Extra glazing and three large bedrooms; one en-suite room on the ground floor and two large bedrooms on the first floor, one of which is an outstanding master suite with dressing area, en-suite and separate bathroom. £290,000 (layout exactly as Show House). For more information on these houses click here. Are we able to view all of the house types? If you arrange an appointment to view our Show House, we will make sure you get the chance to view any other available properties on site. There are also private build R.Houses available to view, if you contact our sales team we can arrange this for you. What’s included with the house? In your kitchen you have a choice of designer units and worktops, fully integrated designer dishwasher, integrated fridge/freezer, single oven and induction hob and down lighters to ceiling. Within the bathrooms there is designer sanitary wear, a heated towel rail, wet areas, shaver points and power showers. Internal finishes include gas central heating with an energy efficient boiler, the latest in MVHR technology, TV points in lounge and bedrooms, high quality internal doors, specially selected ironmongery, white facings and skirtings and wiring for satellite TV. External finishes includes high performance double glazed aluminium clad windows, turf to front gardens, fencing to back gardens and a monoblock drive. There are also mains operated smoke and heat detectors throughout the houses. Where can we see the types of upgrades that you offer? You can see many of the upgrades that we offer at our Show House at Montrose Woods. Do I need an appointment to visit the Show House? You will need an appointment to visit our Show House. You can contact us here, or by telephone on 01478 612899 or email sales@ruralhouse.net to do so. We would be delighted to show you around! Can I get Help to Buy at Montrose Woods? Yes but Help to Buy will only work on mortgages on properties that are selling for under £230,000. 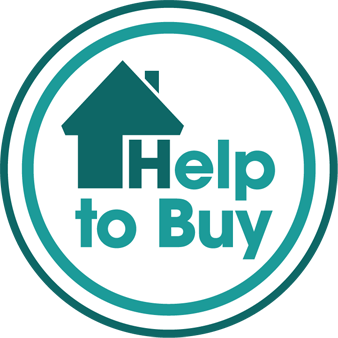 You will be able to see what houses would qualify for Help to Buy by looking at our ‘Houses’ section on our website, or you can get in touch with us and we can help. Do you give mortgage advice? You can contact us here and we can put you in touch with an independent mortgage advisor who has worked with many of our clients in the past. How many houses are on the development? There will be 36 houses in total when Phase Two of the development is complete, currently 14 of these have already been built. Is there a factoring arrangement for the development? Yes this costs £10 per month, per household and covers landscaping and general upkeep of commercial areas. Will the new bypass affect the development? Yes in a very positive way, commuting time to Inverness, Nairn and Inverness Airport will be greatly reduced. You can watch a visualisation video of the new bypass on Auldearn’s Community Council website if you follow this link.